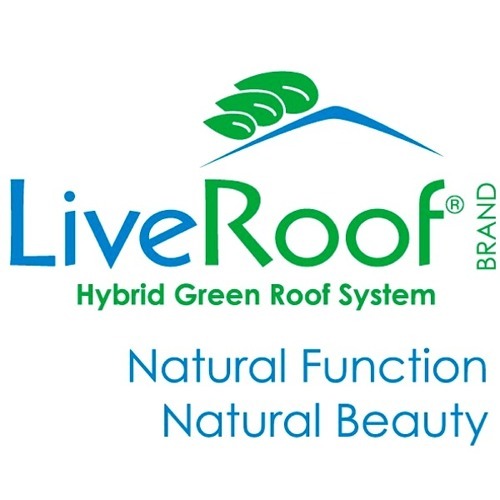 Additional information is available at www.delafleur.com which also provides a Green Roof Fact Sheet. The web site further hosts a time lapse animation that documents the green roof installation here. To demystify what the green roof looks like in the winter and during drought conditions additional time lapses that document entire growing seasons are posted on the web site for 2005; 2006; and 2007.Also see “Everyone benefits when stormwater sinks where it falls” by Deborah Donovan in the 8.09.08 Chicago Daily Herald here. 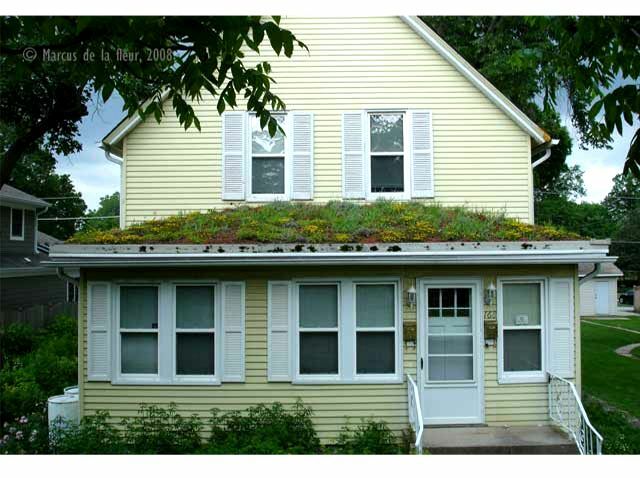 This small residential green roof was installed in June 2004 on a enclosed front porch of a duplex or two flat residential property. It was the first residential green roof installed in DuPage County, Illinois and chiefly consists of a custom designed four-inch engineered growing medium over one-inch lightweight aggregate drainage layer. The green roof materials weigh about 25 pounds per square foot when saturated. The green roof stretches over a 250 square-foot area. The project was made possible by the Elmhurst based not-for-profit organization Conservation Research Institute (CRI). CRI received a 2003 grant from the general grant program of the DuPage Community Foundation based in Wheaton, Illinois. The grant awarded in October 2003 underwrote in part the development of this residential Green Roof Demonstration Project. Marcus de la fleur desiged, engineered and constructed this residential green roof during May and June of 2004. The goal of this project is to provide a living demonstration in the heart of a residential neighborhood to raise awareness of and to convince homeowners of the feasibility of green roofs on privately owned homes.